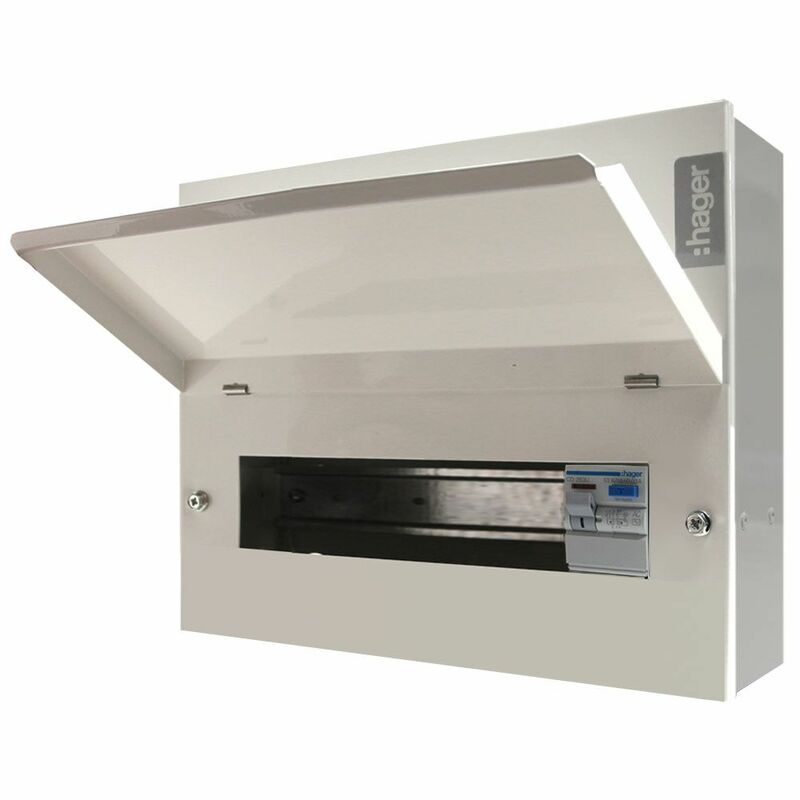 Offering 10 usable ways protected by a 100 amp RCD, the VML310H metal consumer unit is designed as an extension or 'break out' board for the protection of circuits in large sheds, garden offices or gardens using multiple lighting circuits and water pumps. It is supplied complete with DIN rail, bus bar, earth and neutral terminals and labels for circuit identification. Populate with Hager MTN range MCBs.